I have had a go at the colour challenge. Its not as green as the inspiration photo but not as blue as it looks here in real life. Sorry it is so big but I have never before managed to get a photo to load on here so it is a start! I'll say it here too Lythan, it's lovely to have you joining in and I totally loved the take on the colour prompt image including the circles and gold pearly accents! Last edited by daisychain888; 07-01-2015 at 04:05 PM. The thread's been pretty quiet so I thought I would give it a bump and see how you are all doing and what crafty things you are up to. Other than that, it is wedding invitations all the way. I've just got to figure out where I can lay them nice and flat so the embellishments don't dig into the other cards and also somewhere that the dogs can't reach them and eat them. They love card and cardboard and have taken to eating light bulb boxes of late!!! If I put them in a bedroom it would only take one moment of forgetting to shut the bedroom door and they will be in there as they were at Christmas when they ate the box of petit-fours which my sister had in her room and left the door open for a few seconds. I swear these dogs have a built in radar for these things. I look forward to seeing what everyone else produces though. I finally managed a crafty moment last night and despite the predictable way my card turned out, I am happy with the end result. Phew! 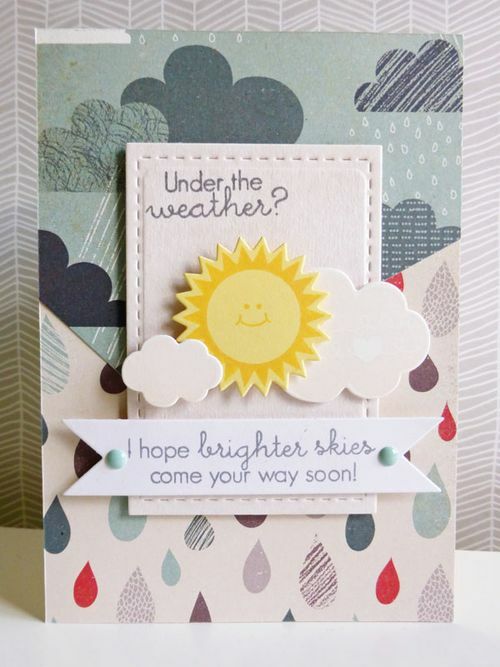 Just need to get my blog post drafted for it to go live as part of this week's Daring Cardmaker's challenge. Then this weekend I'm hoping to get a Christmas card made for the last prompt in the January challenge. I think the weather will be good inspiration! Thanks Nat, love your birthday card, message on blog. Thanks for the lovely blog comment Suzie. Well I managed to do the triple whammy - here's my card for the Pinspiration prompt - originally intended to go with a winter theme, but my thoughts went in another direction! Great card Nat! So far I've not managed to make a single card this month but I'm hoping that I'll get the chance this weekend.